There are many explanations and descriptions given about Pranayama. There are also various benefits attributed to Pranayama. We have a whole range of teachers, ‘gurus’ and websites which are prescribing some or the other form of breathing techniques and labeling them. We also have a lot of people thinking that ‘Pranayama’ is some sort of magic pill, where all our problems will vanish by doing one or the other form of breathing techniques. Prana is the cosmic energy which encompasses everything in the Universe. When this energy is bound inside living creatures, it is described as bio energy. It is the same energy which makes the organs function. There are five main types of Prana and many other minor ones. Some of them regulate breathing, circulation, digestion, excretion and procreation. However, these are not different ‘Pranas’. It is the same Prana which is functioning in different parts of the body and we give them different names. When we start controlling this bio-energy, we start controlling the mind. This is called ‘ayama’. It is not just control, but also extension and expansion to ‘connect’ with the cosmic energy outside the physical body. Since there is a close connection with the mind and respiration, Pranayama is normally associated with respiration control. This control on breathing helps control the mind. The calmer and more concentrated is the mind, the more regulated is breathing. This is a cycle which sets in. The beginning point is external and conscious control of the breath. Lifespan of humans is not measured by time, i.e. number of days or years. It is measured by the number of breaths we take. So the slower the breaths, the greater is the lifespan. Slowing or controlling the breath also have many other physiological benefits, which is making it attractive to many prospective practitioners. However, this is a side effect and does not benefit most people, unless the foundation is prepared. Pranayama is the fourth step as mentioned in the Yoga Sutras of Patanjali; in the eight limbed path or Ashtanga Yoga. Even in Hatha Yoga scriptures, it is clearly an advanced step. What this means is that unless the first steps are mastered, Pranayama should not be practiced. Even if it is, it may not help. Pranayama done with a restless mind or without physical conditioning and steadiness and attitudes mastery, does not help. In fact it may harm the practitioner. The first three steps are Yama, Niyama and Asana. So it is clear that all of these have to be practiced regularly. 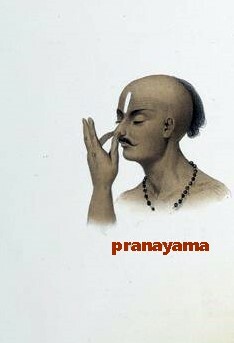 Only when the body and mind is ready, can one proceed towards Pranayama. In fact, it is said that Pranayama should be commenced only when one can sit in a single posture with complete steadiness of mind and body for three hours at a stretch. What is being taught as Pranayama these days is mostly basic breath regulation routines and techniques, which are more in the nature of preparation. The entire body and respiratory system has to be strengthened and well prepared to practice Pranayama. If we do not have the correct lifestyle and attitudes and do not practice asanas, Pranayama has no meaning. In fact, true Pranayama practiced in a restless state and without preparing the foundation can even be harmful. We see a lot of people today who do no asanas at all, but sit and breathe in certain ways. This does not help. You might as well not do it and waste time. We also see people practicing breathing techniques in combination with physical exercises and at different times. All of this is counter productive. All of this does not mean that we get disheartened. We should take the first few steps. The best way to do this is by beginning to practice asanas and taking credible online yoga classes. Some of the most effective practices are to be found in wellzee yoga programs. Sign up for one of them today and be on the path to Ashtanga Yoga.